has become a leading signmaker throughout East Anglia. Are you looking for quality Signmaker? 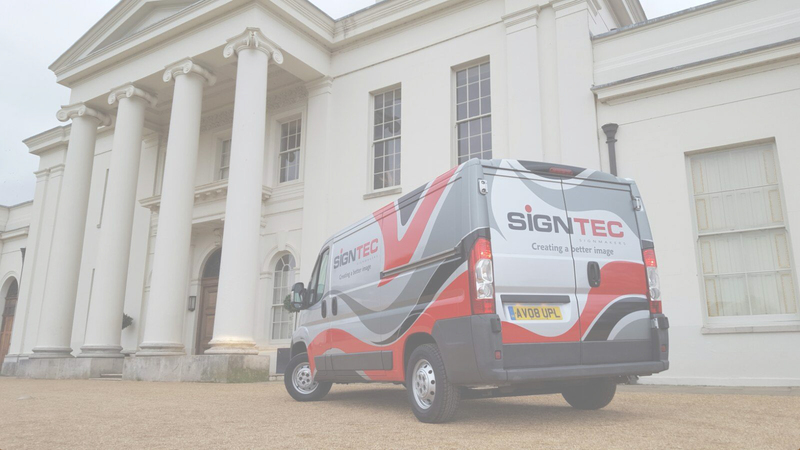 Signtec Ltd, founded in 1999 in Chelmsford, has become a leading signmaker throughout East Anglia. With many prestige clients, we now occupy a 2200sq ft. workshop in Chelmsford and produce a wide variety of high-quality products. The term architectural covers a wide variety of styles, manufacture and materials. Vehicle Graphics are a proven, cost effective way of advertising your business. Here is a little of what we do. Contact us today to find out more or to get a quote for any of our services. Signtec ltd have been a established signmaker and Vehicle Graphics supplier in Chelmsford for over 18 years. As a major supplier of signs and graphics to customers across the region, We have developed a wide range of equipment and skills enabling us to produce a vary wide and varied range of products..
We believe the service we offer is second to none. We have a strong dedicated team that provides outstanding customer service to all our clients. With many services provided by the team at Signtec ltd there without a doubt a service or product we can provide. Signtec Ltd only uses the highest quality materials including the very latest in UV printing. Signtec ltd really helped give my business the boost it needed with providing me with stunning signage and vehicle graphics to match, from the design to the execution they really do understand what a business needs and I am so thankful i found them. Keep up the great work guys. Having worked with the team at Signtec for many years i personally would not use another signage company they are speedy and professional and if a job cant be done to the exact specifics then they always find an alternative. I really value their honesty when it comes to my business and what they think looks right and what doesnt. An amazing team.